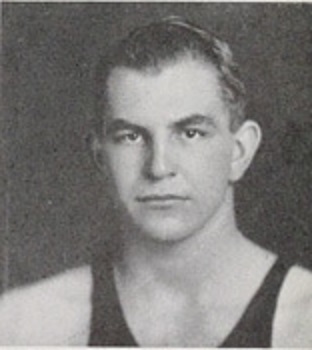 Jim Birr was a college All-American football for Indiana University. He was drafted by the Green Bay Packers in 1938, but never played in the NFL. Birr had some modest success as a professional basketball player and formed his own independent team, the “Jim Birr All Stars” The enterprise reflected his budding promotional and business skills more that his basketball ability. In his lifetime, Birr enjoyed substantial success in many different venues. He was investor in the New York Titans AFL football team, created and published the magazine “Movie Digest”, participated in the development and was part owner of the Daytona International Speedway, managed thoroughbred race horses, and was a real estate developer in South Florida. James O.tto Birr Born: Aug 22, 1916 Died: Jun 8, 2006 Hometown: Indianapolis, In.